I adapted one of my more conditioning soap recipes for the perfect shave, adding even more shea than usual and incorporating bentonite clay. Bentonite is made from volcanic ash and is rich in minerals and helps detox the skin and body. Used in soap, along with lanolin which doesn't fully saponify, it creates a lotiony lather than helps your razor glide over your skin for a better shave. 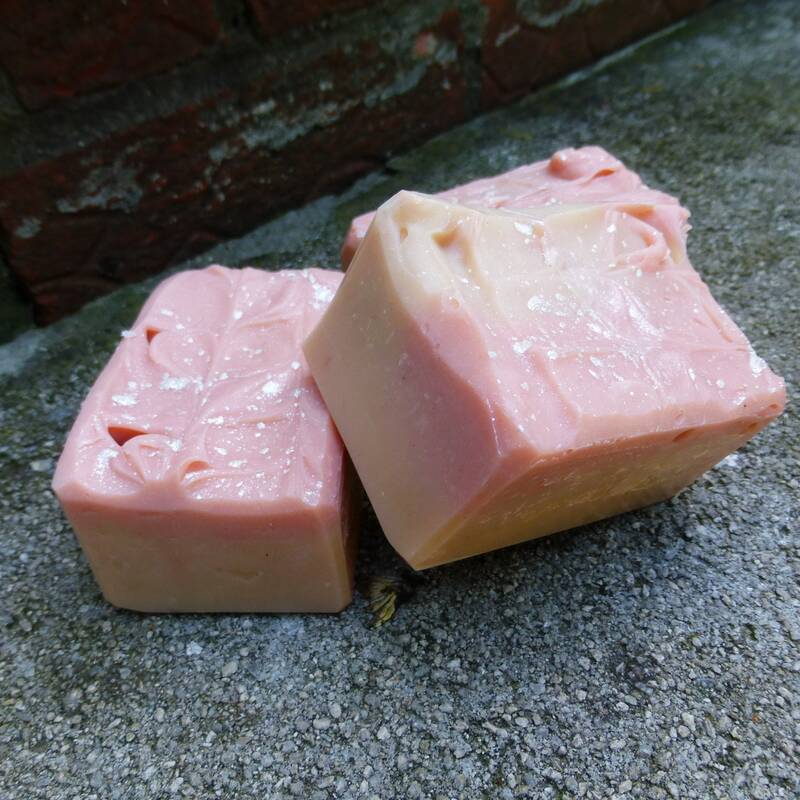 This bar is scented with the soft and feminine scent of Cherry Blossom. There are NO artificial colorants in this bar. 🍃🍃 BENTONITE CLAY removes toxins and helps purify and detoxify the skin. It helps create a rich lotion like lather. 🍃🍃 LANOLIN is the waxy substance found in the wool of sheep that that protects their skin and wool from harsh climates. It is such an amazing emollient that offers serious moisturizing and water repellancy. When used together with bentonite it works into a creamy lather that helps your razor glide over your skin safely and easily and leaves a layer of moisture behind. These are a best seller! "This has got to be my new most favorite thing ever! I will never be able to go back to shaving cream after using this wonderful product. It was my first time trying something like this, and while it was different, the results were obvious! My skin was much more moisturized and it provided with a closer shave. " "This shave bar is exactly what I hoped it would be! This will be my go to shave soap from now on, spectacular product! "